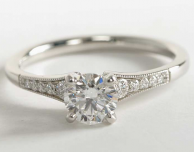 This simple pave engagement ring has a thin band and smaller pave diamonds, that will make your center diamond really stand out. 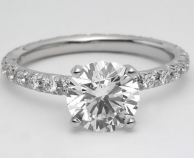 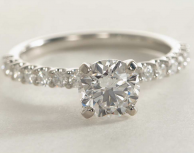 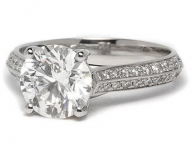 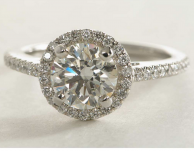 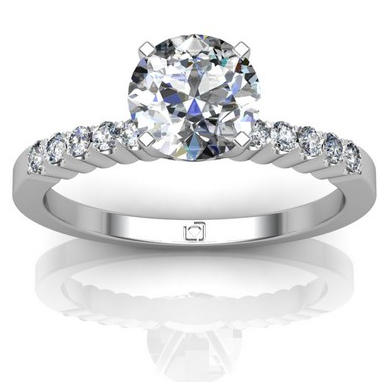 If you want something with a little more flair than a simple solitaire ring, this is a great choice. 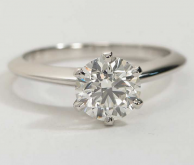 Your center diamond can be any shape or size.